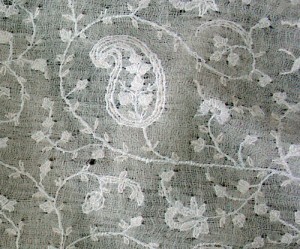 Pashm is one of the world’s finest types of fiber. It is produced by goats called Changra in Ladakh (a region of Jammu and Kashmir, the northernmost state of the Republic of India). 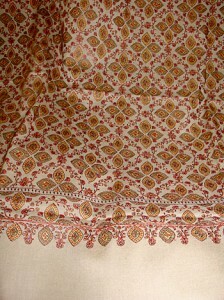 The fabric woven from pashm is termed Pashmina. Outside India it is more commonly recognized as Cashmere. Changra goats are found in Changthang region of Ladakh, where much of the area is arid and mountainous, situated between 13000 to 18000 feet above the sea level. The winter temperature in this area falls below -30 C. Snow, wind, low temperature stimulate growth of pashm under goats’ coarse outer coat. The breed is hardy, agile and well adapted to the migratory habit with small percent of multiple births. There are about 1,5 lacks of Changra goats producing about 30000 kg of raw pashmina annually in Ladakh. The average pashmina yield is 400 gr per year from adult male and 200 gr of pashmina from female. The finished product of pashmina is much sought after throughout the world as a luxury item. Pashmina shawls and wraps are a practical and elegant addition to the contemporary wardrobe. Unlike a restricting coat, pashmina shawls are warm, lightweight and fluid. They are available in a wide variety of shapes, colors, sizes and styles. They add warmth and beauty to any ensemble. Their soft and lightweight feel make them a favorite for any occasion. From a casual date of dinner and movie to a formal social gathering Pashmina shawls are always in style. Pashmina is a form of fine cashmere wool that comes from pashmina goats. These goats are found primarily in the Himalayas of Nepal, Pakistan and India. As was mentioned above, the Pashmina goats live in high altitude areas and shed their undercoat every spring. The finest quality of pashmina is from goats that live the harshest and coldest climatic regions. The goats have very thin and short undercoating that gives them the best insulation possible in harsh winter climates. The pashmina fiber is gathered and hand-woven into fibers that are finer than other cashmere fibers. The early people of Nepal had come to depend on the pashmina fiber to keep them warm in the cold climate. They have been producing Pashmina shawls since the 3rd century BCE. The industry of pashmina wool has been associated with the ruler of Kashmir, Zayn-ul-Abidin from the 15th century. 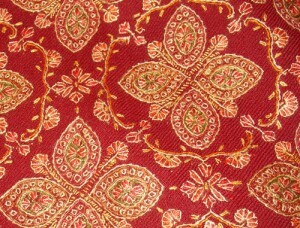 Pashmina shawls were produced by Kashmir’s weavers and worn by Europe’s aristocracy for centuries. In the 1990’s, pashmina enjoyed a fashion surge when famous designers from the major fashion centers of New York and Paris started including the fabric in their clothing lines. Contemporary pashmina shawls might be a blend of pashmina wool and silk. The fibers are tightly woven to produce a nice sheen. It drapes well like silk but is still lightweight and warm. Pashmina shawls are well known for their warmth, sheen and soft texture. The demand for pashmina shawls has continued to increase dramatically. 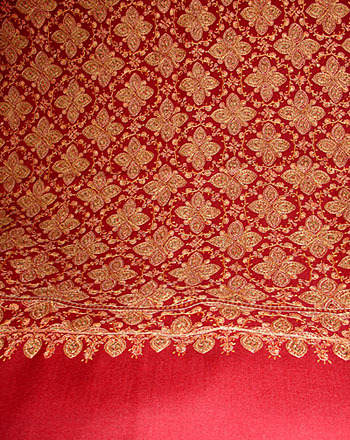 The finest pashmina shawls comes from the Himalaya of Nepal. The Himalayas in Nepal have the coldest and harshest climate from other areas of the region. Consequently, the wool gathered from the goats is especially warm and lightweight. 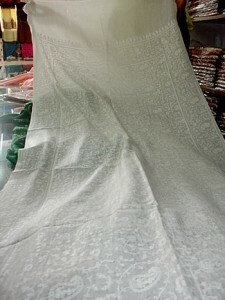 Pashmina from Nepal even has a registered trademark called Changra Pashmina, differentiating this finer pashmina from other pashmina and pashmina blends. Pashmina shawls can add a new element to any wardrobe. Shawls can greatly enhance an ensemble with it soft feel, color, sheen, and natural flowing appearance. Pashmina shawls serve a dual purpose of warmth while adding an element of beauty and elegance. Pashmina shawls are extremely versatile and can be worn as a simple addition to any casual outfit such as a nice pair of jeans and simple top or t-shirt. They can provide a look of elegance to the little black dress or can enhance a formal gown. They can be dressed up with pins and broaches or tied into loose knots to add a variety of looks for different styles. Pashmina shawls are remarkably versatile and can be worn in a number of ways. They can simply be wrapped around the shoulders and left to drape casually. They can be loosely wrapped around the neck and pulled over one shoulder so they hang in both the front and back. Larger pashmina shawls can be worn poncho style to cover the entire upper body. They can be pulled around the shoulders without covering the upper shoulder for an evening look. They can also be worn like a sarong around the waist to enhance feminine curves and lines. On cold winter days they can be worn around the neck to keep the neck and chin area warm. There are a number of looks that can be created with a pashmina shawl, from simple and cozy to sheer elegance. Perfect pashmina shawls depend on the occasion, ensemble the shawl is to be matched with and personal preferences in color and style. Because they are so versatile and dynamic a single shawl can be worn casually or elegantly with multiple outfits. Pashmina shawls are ideal for highlighting features and skin tone. The color of the shawl can have a dynamic and dramatic effect. As a colorful addition to an ensemble, the perfect shawl will enhance skin tone and accentuate positive features. Pashmina shawls are a great way to keep neutral colors in step with the season. Once reserved for Europe’s aristocracy, Pashmina shawls are now a wonderful addition to anyone’s wardrobe. The versatility and warmth of this beautiful material can add harmony and elegance to any ensemble. Copyright © 2011-2019. Silk Scarves and Pashmina Shawls.